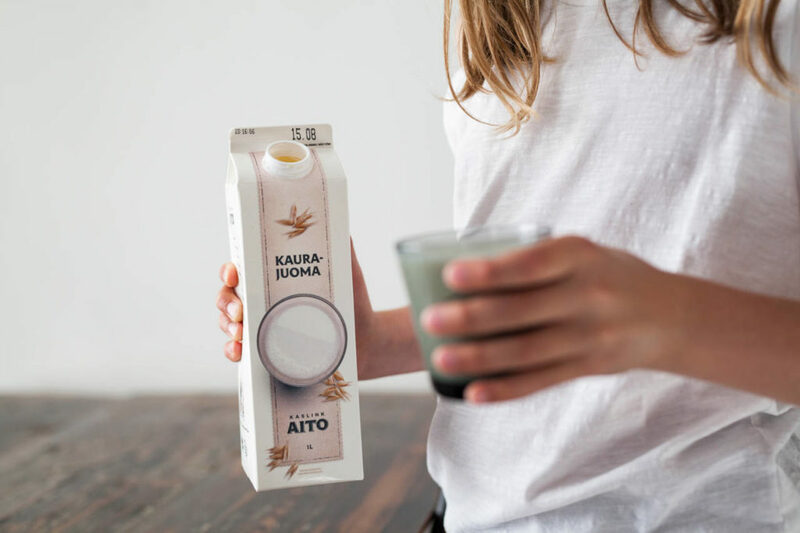 Our products originate from Finnish oat fields whose crop is considered to be one of the highest quality grain products in the world. Oat loves the Northern climate, and we love oat, because in addition to its delicious taste, it’s also healthy! Nordic oat is a high-quality ingredient whose purity and even quality are appreciated around the world. 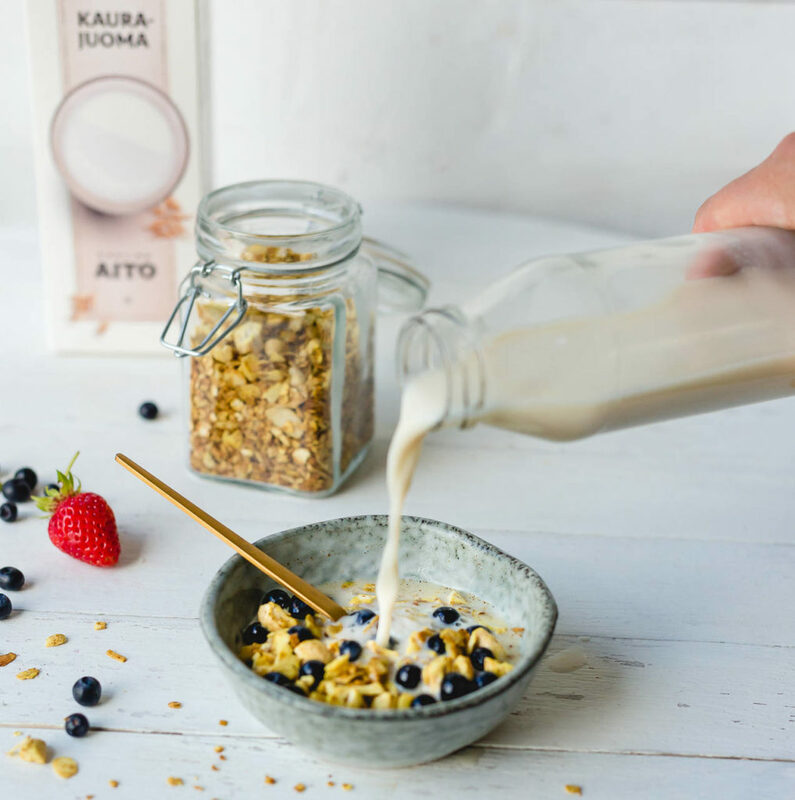 The oat grains collect the power of the arctic land and sun, the magic of long summer nights and the purity of Nordic nature. Oat loves the Northern climate: it isn’t bothered by a low temperature and can weather heavy rainfall. The studies agree: it’s healthy! In addition to its incredible taste, Nordic oat is also good for your health in various ways. And if it is healthy, you can have as much of it as you want! Oat is good for your stomach, assists digestion and helps you control your weight. Consuming beta-glucan regularly helps you maintain and reduce your cholesterol levels. Oat contains fibre, beta-glucan, zinc, iron, magnesium, unsaturated fat and slow-release carbohydrates. Producing a vegetable-based product consumes less water and energy. How is the oat drink produced? It tastes good, but how is it made? Everything starts with the harvest: The oat is harvested from the fields and the grains are turned into flour. The flour sacks make their way to Kaslink’s production facility in Koria, Finland, where the magic starts to happen. 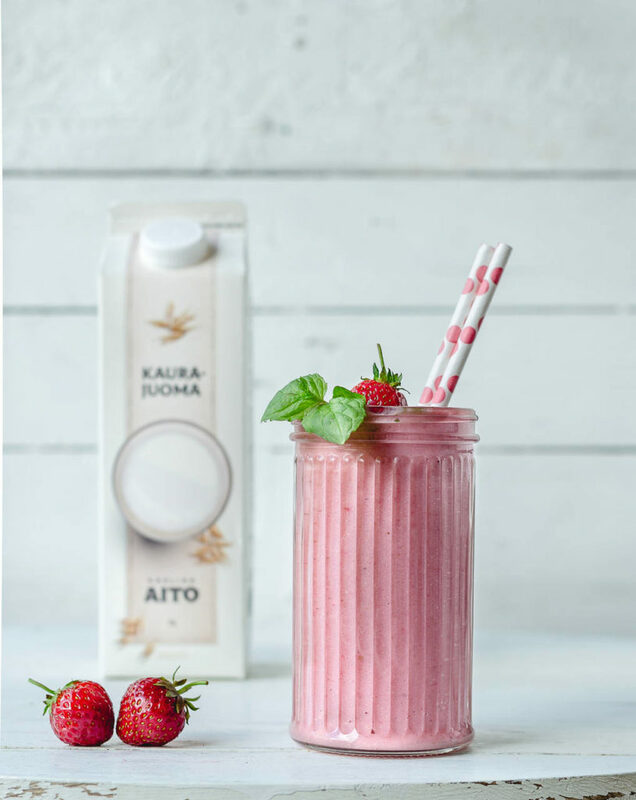 The oat is mixed with water, after which you only need to add oil, salt, vitamins as well as potential berries and other flavours, and voilà—the oat drink is ready to be packaged. And to be drunk, of course!